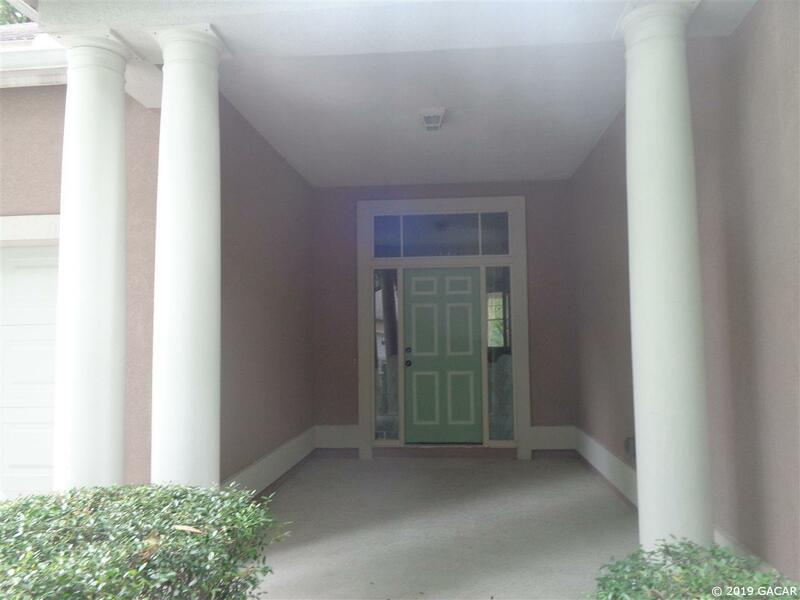 3/2 (Hickory Walk in Haile Plantation) Beautiful home off the 15th Green of Haile Golf Course. 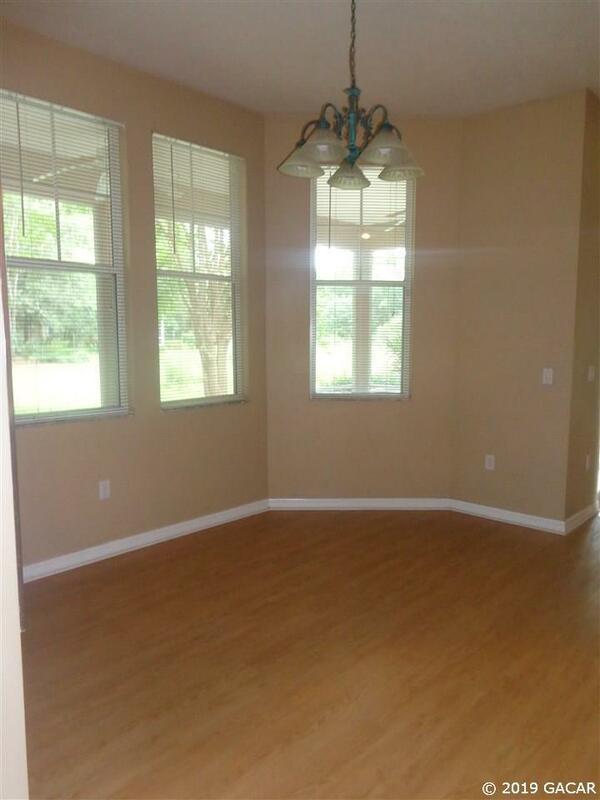 Large entry foyer leads to spacious living room with vaulted ceilings and laminate wood floors. Sliding glass door off of Living room leads to screened Lanai and side wood deck. Living room has one wall of windows that overlooks backyard. Dining room has a large mirrored wall. Front bedroom has bay window and planter shelves. 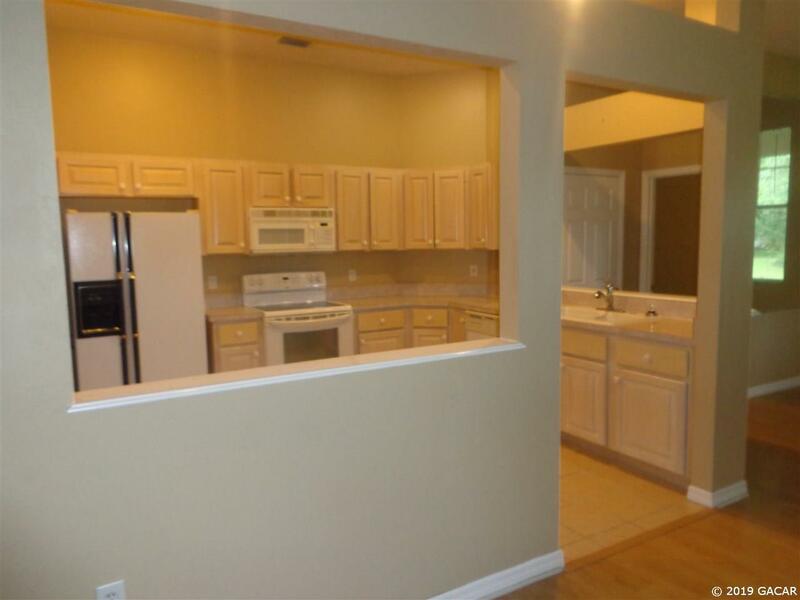 Kitchen has ceramic tiled floors, white washed oak cabinets and white on white appliances. 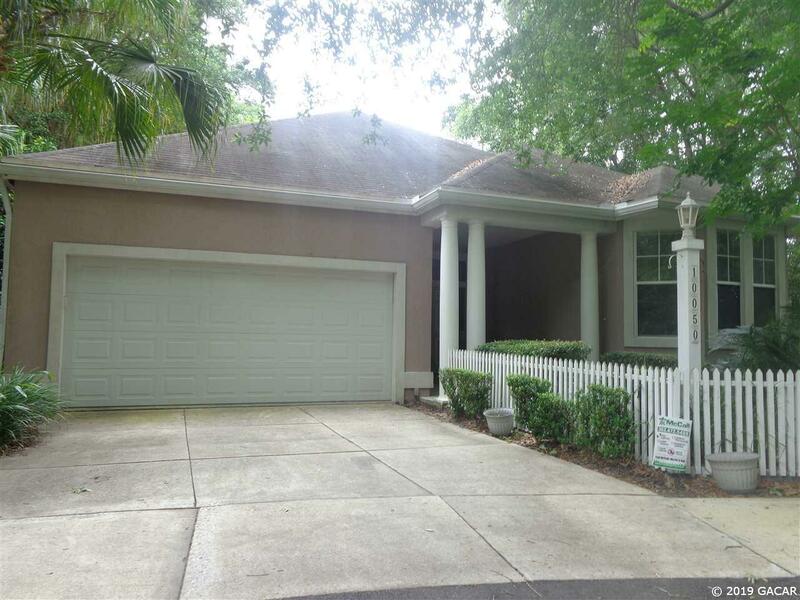 Large master bath has tiled floors, separate dressing area, Jacuzzi tub, skylight and corner ceramic tiled shower. Two car garage and Utility room with washer and dryer. Full total- Sq. Ft. 2741. 1 pet - small/medium breed Applicant must be approved without a guarantor "